The House has a nice original hall and 6 rooms, 5 shared plus a 1 private, with a total of 37 beds, divided over two floors which are accessed through a beautiful staircase. 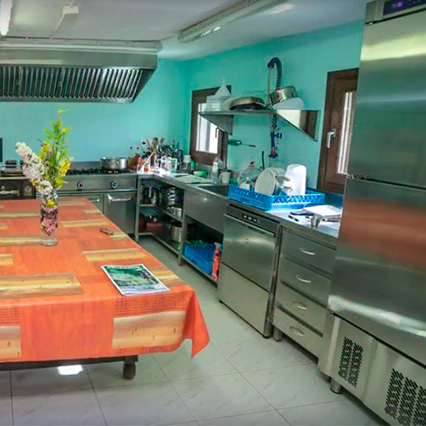 Restaurant with the best PAELLAS DEL CAMINO, laundry, common room, massage service, room for groups (old winery), where we organize sessions of yoga, meditation, prayer etc., and a courtyard with pool, hammocks, deckchairs and rest areas. All the dorm rooms are exterior with views to the courtyard or to the town. The beds are all single beds, we do not have bunk beds, all of them very close to the shared bathroom. 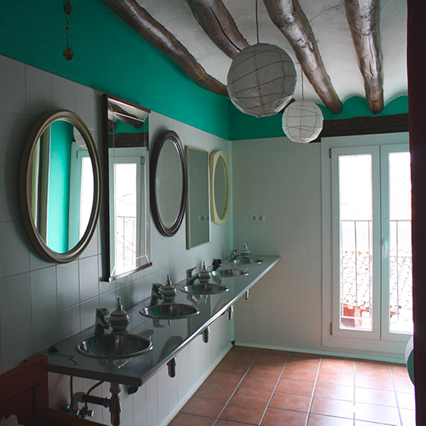 Private room accommodates three people, with a King-size bed and a sofa bed, bathroom and private shower. 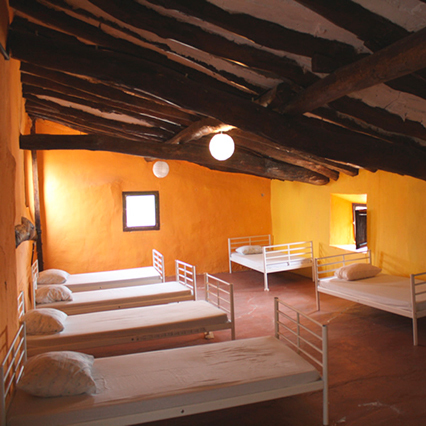 La Casa Mágica además de ser un albergue para que descanse el peregrino en su camino, está concebida como una escuela de vida. 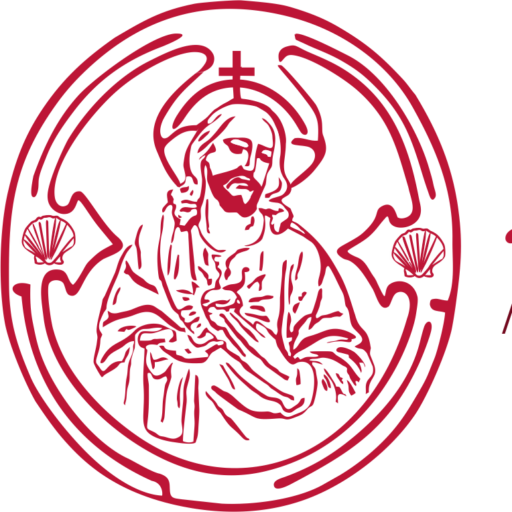 We are in Villatuerta town, on the eastern part of Estella region, which belongs to Navarra province, 37 km away from Pamplona, easily connected by highway (A12). 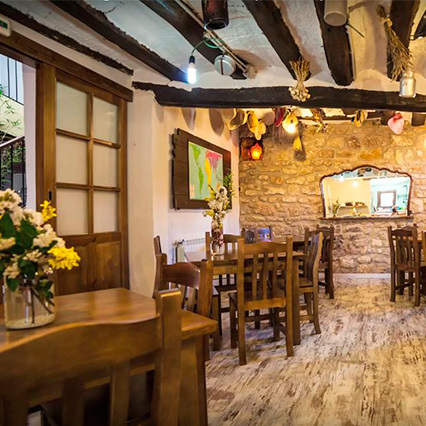 La Casa Mágica is located in the very heart of the village, next to the townhall and church. Very close to the river, called Iranzu and its stunning medieval romanic bridge.